Hospice providers do so much for patients and their families while also paying close attention to important hospice considerations including hospice reimbursement rates and the ever-changing cost of care. Staff time spent with hospice patients and their loved ones is an essential component of hospice care. Whether administrative, volunteers or clinicians, hospice caregivers bring aid and comfort as families deal with the difficult emotions during end-of-life care. Distributors, like Concordance, want to ensure that hospice care givers don't lose that valuable time by dealing with supply chain challenges. We proudly partner with SONO, a group dedicated to saving hospices time and money. 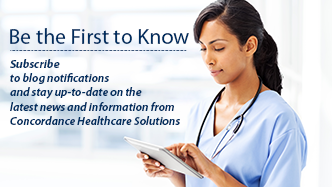 SONO is a coalition of hospice service providers who have partnered to integrate and streamline day-to-day operations for the hospice industry. The term SONO is derived from a Gaelic expression meaning "a comprehensive solution." This organization focuses on creative ways to grow hospice by embracing creative culture, sharing ideas and showcasing best practices from many diverse organizations. 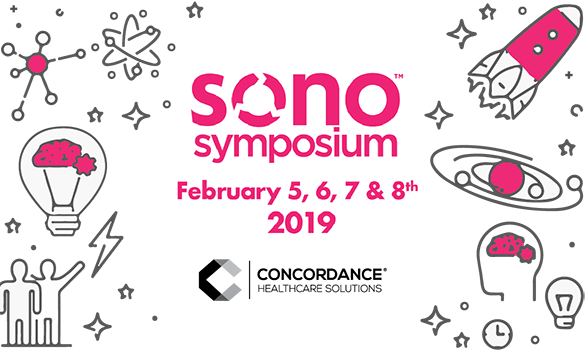 They foster hospice growth and innovation through their event, the SONO Symposium. Concordance Healthcare Solutions, a founding partner of SONO, has comprehensive hospice-focused supply chain services, medical supplies and support that can free your team to deliver the comfort and quality of life to those who need it most. Contact Us today!